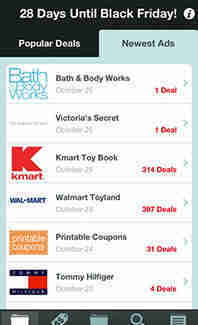 TGI BLACK FRIDAY Constantly tracks Black Friday ads from major retailers, alerting you in real time of new deals sortable by product, store name, and category. Other features include shopping lists, price comparison, and share functionality, so your Facebook friends won't be stuck in the excruciating position of wondering whether you got a good deal on a Rhumba. 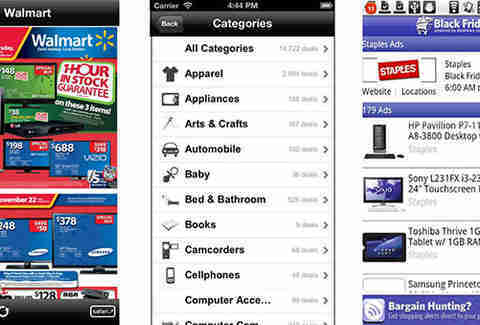 DEALNEWS BLACK FRIDAY | FATWALLET | BLACK FRIDAY SURVIVAL GUIDE Keep the TGI Black Friday app honest with these three databases of door busters, all filterable by store, category, price range, recency, and fellow-shopper frags. 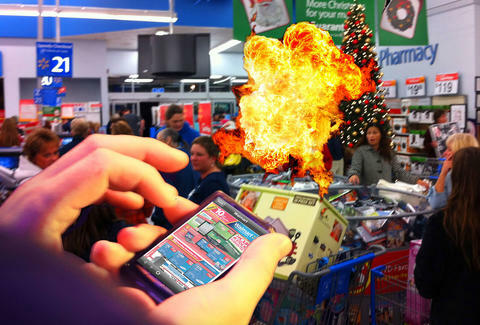 Minus the fellow-shopper frags. 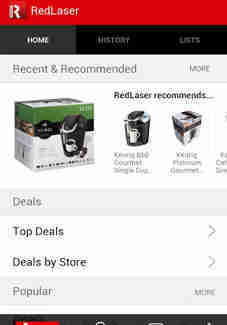 REDLASER Scan a barcode and this app'll reveal comparative prices at area stores and online. 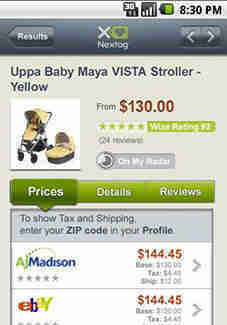 Buy the item within the app and it’ll be reserved for pick up at PayPal-enabled retailers. NEXTAG Just like RedLaser, only it allows you to not only scan barcodes, but also take pictures or enter product info to compare prices. Set up price alerts and you can always count on something in this world to stay in contact with you. Holidays are sad! 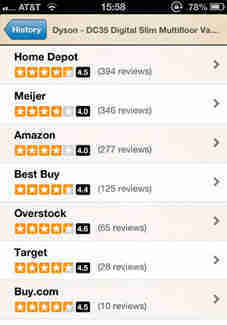 BUY OR NOT With access to over 45 million product reviews, this app provides on-the-spot consumer ratings from online retailers like Amazon, Best Buy, and Home Depot on most anything with a scannable barcode. 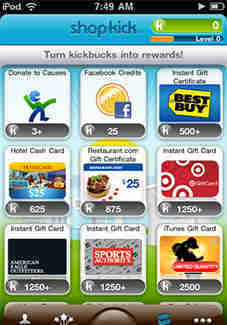 SHOPKICK Offers info on deals and rewards you for check-ins and product scans at stores like Target, Sports Authority, and Best Buy, which earn you "kickbucks" redeemable for free stuff. Give your phone to a teenager and you’ll probably rack up enough points for a Buick.